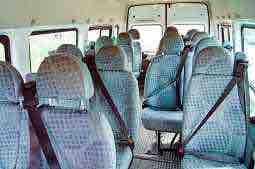 Welcome to our Cambridge minibus hire service. 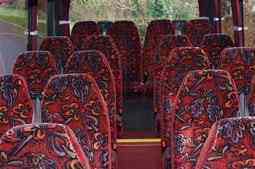 We offer the best minibus and coach hire service in CB postcode area, which covers Cambridge. We offer budget rates, while delivering high quality service. Cambridge, on the River Cam, is famous all over the world for the iconic University of Cambridge, which dates back to the 13th Century. The town attracts several visitors round the year, and has an active and vibrant youthful population. We offer minibus hire in Cambridge for tour groups, corporate, students, residents, and others, who require reliable and comfortable transportation options to travel around the city and surrounding areas. Customers avail our Cambridge minibus hire for airport transfers, attending trade shows and conferences, indulging in sightseeing trips, for days out and nites out trips, for reliable transportation for functions such as birthday parties, weddings, stag do and hen do nites, for attending concerts, for attending sporting events, visiting race courses, visiting golf courses, and several other purpose. You can opt from a wide range of vehicles, such as Ford Transit, Mercedes 16 seater, and Volvos and Ivecos or varying seat configurations. All vehicles come fitted with modern accessories that optimise comfort and safety. Cambridge has several university colleges, and museums, each one famous all over the world on their own right. The King’s College is famous for its chapel and choir, Trinity College, with its Great Gate is has several museums, with exhibits on anthropology, archaeology, science, geology, and polar exploration. A few of the most popular museums include Fitzwilliam Museum of antiques, and modern art, Sedgwick Museum of Earth Sciences, Whipple Museum of History of Science, Cambridge Museum University of Zoology, Cambridge Museum of Technology, Museum of Archaeology and Anthropology, and Museum of Classical Archaeology. There is more to Cambridge than the University. The city is a major hub of high-technology Silicon Fen with several software and bioscience firms, and even more start-ups choosing the town as their base. Especially noteworthy is noted for its large number of remarkable churches, most of them dating back to the 12th century, and architectural wonders in on its own. Holy Trinity Church, Church of St. Mary the Great, Our Lady and the English Martyrs Church, and the quaint Holy Sepulchre, are few of the striking churches. Cambridge castle, with its distinctive conical spire, is another interesting monument. For the tourists and leisure seekers, the town abounds in green spaces, and a picnic in any one of the scenic parks is the best way to connect with nature, yet being in the midst of civilization. Parkers Piece is a well-manicured green. There are several unique and interesting activities on offer in Cambridge as well. One popular activity is a punting tour through the Rover Cam, through the famous landmarks in town, such as the Bridge of Sighs. The Pleasurewoods Hills Adventure Park offers an interesting activity filled days out option. A city with a rich culture and heritage as Cambridge is naturally endowed with a rich legacy in music, arts, and theatre. The Arts Theatre, ADC Theatre, and the Cambridge Corn Exchange are the historic venues for theatre shows and plays. J2 at Cambridge Leisure Park is a modern venue for theatre, dance, live music and comedy. Pink Floyd, the noted rock band, has its origins in Cambridge, and the legacy survives, with several world-class groups playing scintillating concerts and music shows at multiple venues, round the year. Cambridge is also home to Kettle’s Yard gallery and the Aid and Abet Project Space. Cambridge is a well-connected town. It lies adjacent to the M11 and A14 roads, and is connected to London, and most other cities and towns of South England by multiple rail routes. All the major airports of south London are within range of the city. For our Cambridge minibus hire, we offer easy and quick options. If what you require is a simple point to point transfer, you can confirm the coach with just a few mouse clicks, by filling up our simple online form. For more complex requirements, or if you are unsure of which vehicle you want, simply call or email our customer support team. Either way, once you make your booking, you can sit aback, while our dedicated customer support team schedules the trip, coordinates with everybody, does follow up, and does everything required. The skilled and resourceful driver who accompanies the coach takes you to your destinations in the best possible way. Our services are available at all hours, and our vehicles are available on short notice as well. We guarantee punctuality, and high quality professional service, at the lowest rates. You are sure to be delighted by our comprehensive service, just as the previous customers who have been delighted, and have left glowing testimonials in our praise. Cambridge is known for its university, museums, churches, and festivals, but there is no dearth of business and commercial activities either. Silicon Fen, or Cambridge Cluster, is a popular term to denote the large cluster of high-tech businesses in and around Cambridge, The presence of the iconic Cambridge university has spawned several start-ups, which has over time grown into several established industries, mostly in software, and biotechnology. The region around Cambridge is now one of the biggest technology centres in Europe, and several business travellers and groups make their way to the city, every single day. Business events, such as trade fairs, conferences, corporate meetings and programme, training and bonding exercises, and others are commonplace. 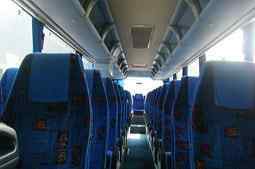 Several corporate houses, and others avail our Cambridge minibus hire on a regular basis, as they are satisfied by the high quality vehicles, professional services, and low cost pricing we offer. We have a large fleet of the latest and most trendy vehicles, such as Ford Transit, Mercedes 16 seater, Volvos, and Iveco coaches, to suit any group. The swanky exteriors help corporate groups arrive in style, while the modern accessories such as push back seats with arm rests, LED overhead lights, infotainment systems, and more allow executives to either relax, or make best use of their time when on the move. The dedicated and resourceful drivers guarantee a smooth and punctual ride. Our committed customer care team makes it a point to honour all your special requests. Two upcoming business events in Cambridge include ALDinHE Eastern Regional Event, Train2Teach in Cambridge, both in January 2016. A minibus hire in Cambridge, with a driver who knows the way around the different venues, is the best way to partake in such events.